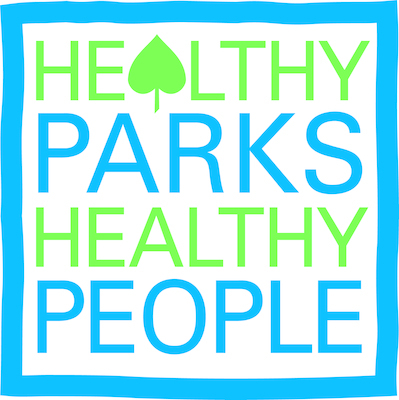 Celebrate Healthy Parks Healthy People with Ontario Parks! Where: All operating Ontario Parks. Free day-use at all Ontario Parks. We are opening our doors to everyone in Ontario; there will be no charge for day-use visitation during the celebration. Parks across the province will offer events and activities that encourage people to visit parks and be active. Explore a new park, sample our facilities and services or enjoy a fun event in a great natural setting! Why: The time to strengthen and rediscover our connection to nature is now! Ontario’s provincial parks are home to some of the most inspiring and beautiful landscapes in the country. We want to increase the awareness and uptake of the strong benefits linked to spending time in nature. What is included with the free day-use entry? All visitors to the park will be issued a complimentary day-pass to the park. You may enjoy the park facilities until 10:00pm on July 20. Additional charges for facilities not included in day-use such as camping, equipment rentals, etc will remain in effect during the celebration, unless otherwise noted below or in the event publications. Celebrate Healthy Parks Healthy People Day at Algonquin Park! 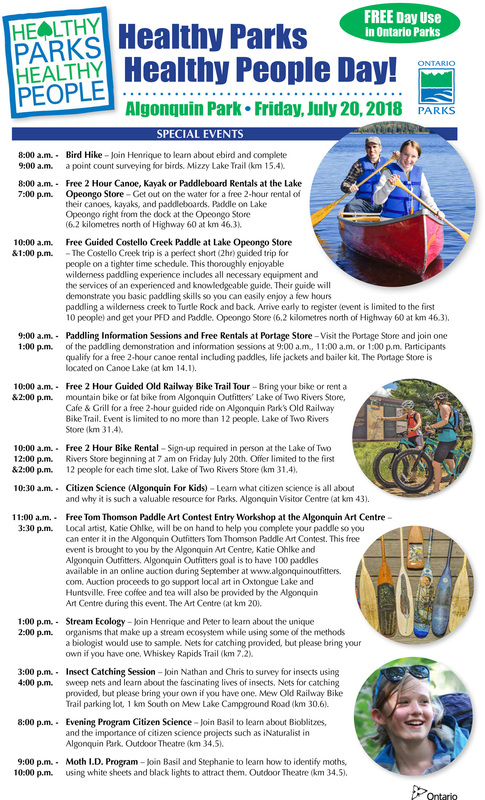 Free Day-Use is offered this day at Algonquin and all Ontario Provincial Parks! The day will feature a full schedule of special events and activities. Please check back for updated schedule later in the season. Join us this August for a challenge that will get you back into nature and tuned into your senses. Studies show that being regularly immersed in nature can prevent short-sightedness, while listening to nature sounds can decrease stress, and the scent of fresh pine has been known to reduce depression and anxiety. It’s time to get back to your senses and make nature a habit! Ontario Parks challenges you to spend 30 minutes in nature every day for 30 days. The 30×30 concept was created by the David Suzuki Foundation in an effort to inspire individuals to reconnect with nature while improving their health and mental well-being. Ontario Parks and Healthy Parks Healthy People are encouraging you to get outside and back into nature. By accepting the 30×30 challenge, you are committing to a healthy lifestyle! Are you ready to get back to your senses?